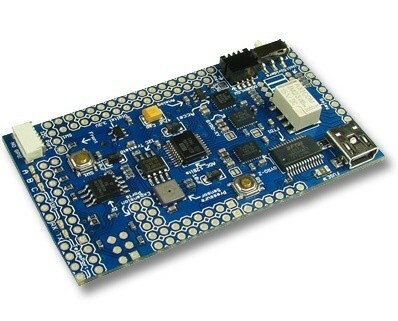 This is the ArduPilot Mega IMU Shield also known as the Oilpan! 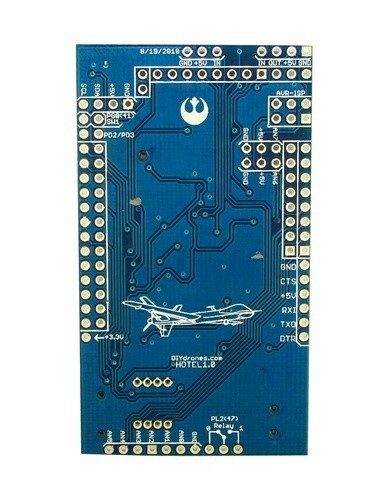 This board features a large array of sensors needed for UAV and Robotics applications, including three axis angular rotation and accelerations sensors, absolute pressure and temperature sensor, 16MBits data logger chip and more! It's designed to fit on top (or bottom) of the ArduPilot Mega board, creating a total autopilot solution when a GPS module is attached. 12-bit ADC for better Gyro/Accel/AirSpeed resolution. Built-in 16MB Data Logger (The Black Box). Piano DIP switch for servo reverse or user customizable. 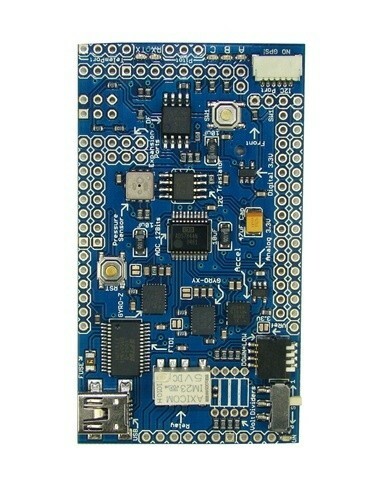 Built-in FTDI, making the board native USB. I2C Port with incoming "Daisy Chain board" allowing you to build sensor arrays. Two user-programmable buttons (one momentary, the other slide). Built-in voltage dividers to measure aircraft battery voltage, down to the individual cell. Includes 4 3.9k resistors that you can solder in to measure standard LiPo battery packs. New vibration resistance Invensense Gyros (Triple Axis). AirSpeed sensor port (optional, sold separately). Yes you can use your shield as a Weather Logger too!